When The New York Times and Columbia University meet, there are a number of interesting things to discover. Two of the most notable institutions residing in the heart of New York City, the Times and Columbia are linked together through the movement of people and the incredible ideas that they carry. Of the individuals who make this connection a reality, a number hail from the Columbia alumni community. Read more about them on The Low Down. Recent graduate Clara Roquet '16SOA won the 2016 BAFTA US Student Film Award for her short film El Adiós, which she wrote and directed as part of her MFA coursework at the Columbia University Film Program. Menachem Rosensaft '75GSAS, '79LAW, who has taught a Law of Genocide course at Columbia, remembers friend and mentor Elie Weisel. 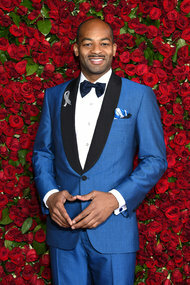 Brandon Victor Dixon '07CC to join the cast of Hamilton on Broadway as Aaron Burr. Susannah Villa '15BUS raises $1.2M for Flip, a start-up that helps tenants find someone to take over their lease. Big data can help investors make smarter, better-informed decisions, Armen Avanessians '83SEAS, chief investment officer at Goldman Sachs and Columbia trustee, says in his podcast. Hear more of his helpful insights. Attention journalists: Events in Brazil occurring contemporaneously with the 2016 Rio Olympic Games are having an enormous impact well beyond the nation's borders. Each of these subjects—from water quality and the Zika virus to Brazil’s economy and the country's historic political upheaval—is challenging in its complexity. Columbia has created a roster of faculty members identifiable by their subject matter expertise to help provide context and the objective insight for understanding these issues. Be sure to keep checking back for useful information and experts as the Olympics near.